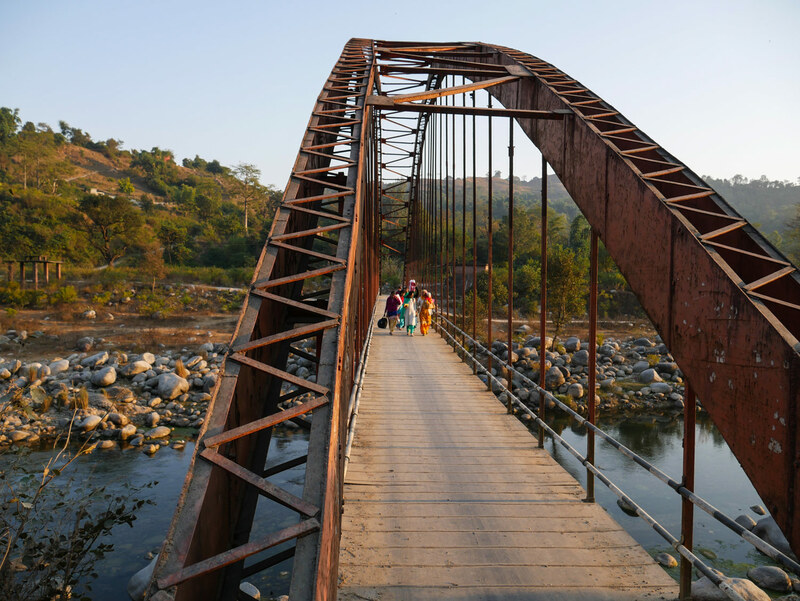 Running about an hour late, the 52463 Pathankot to Baijnath passenger crosses the Reond Nullah arch bridge just east of the Kangra Station. 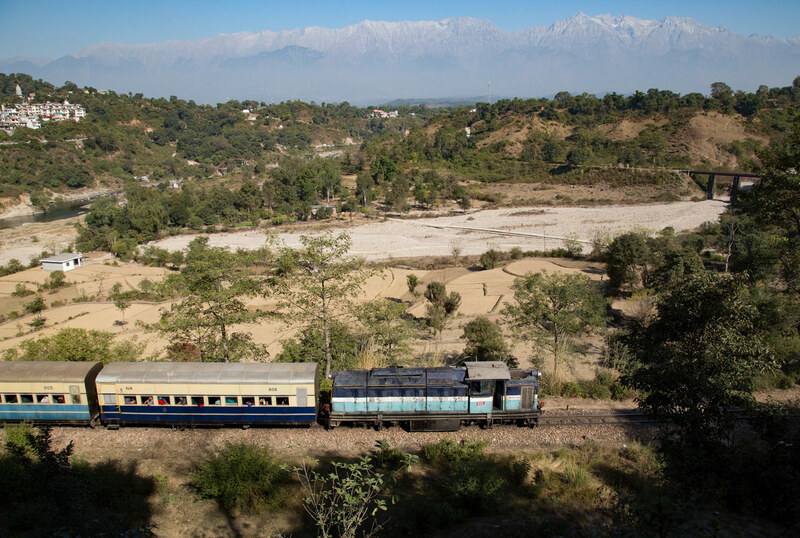 The next day I split up again from Thomas and Robin, Thomas wanted to ride the train north to the end of the line in Joginder Nagar to scout for photo locations. Having ridden a lot of trains and having taken almost no decent photos the whole trip thus far riding a train was the last thing I wanted to do. 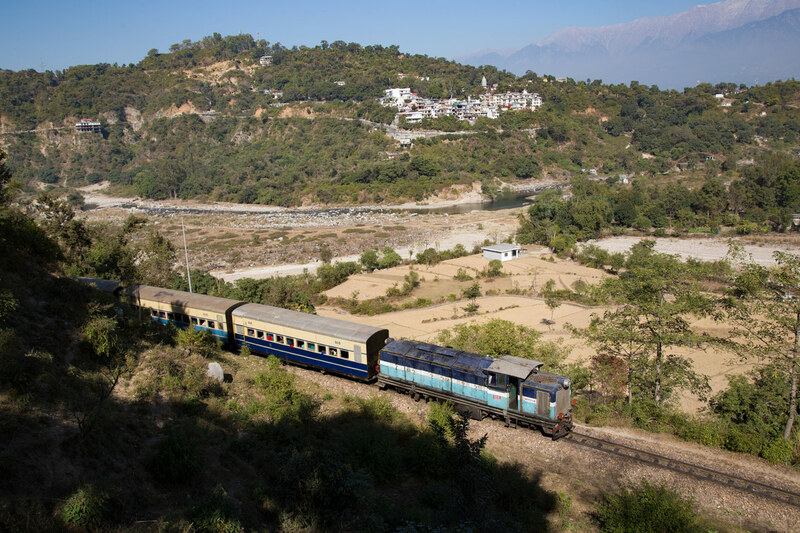 Instead, I decided to take a page from Thomas’s tour guide and do the several photo angles available around Kangra. Turns out I should have gone with them but hindsight is 20/20. 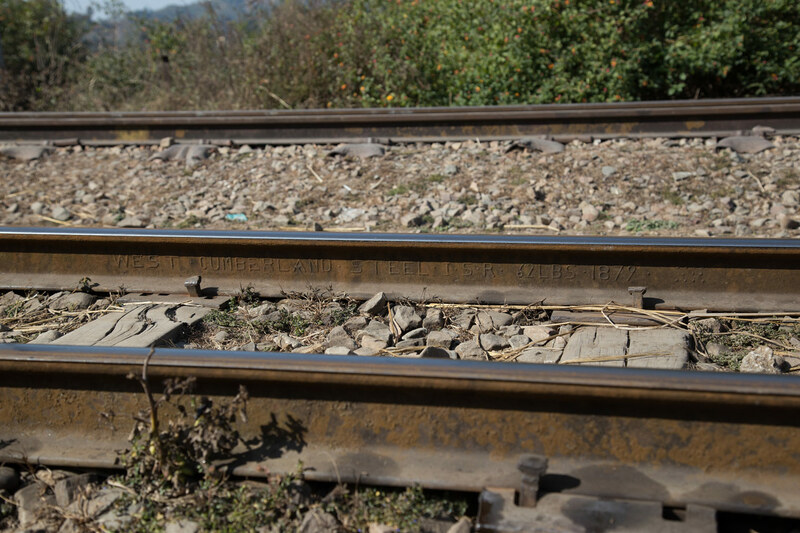 For unknown reasons there were several trains cancelled on the Kangra during our visit and I had initially thought the 8:33 52463 Pathankot to Baijnathwas one of them until looking at NTES (National Train enquiry status https://enquiry.indianrail.gov.in/ntes/ ) to see the train was an hour late and closing in on Kangra. 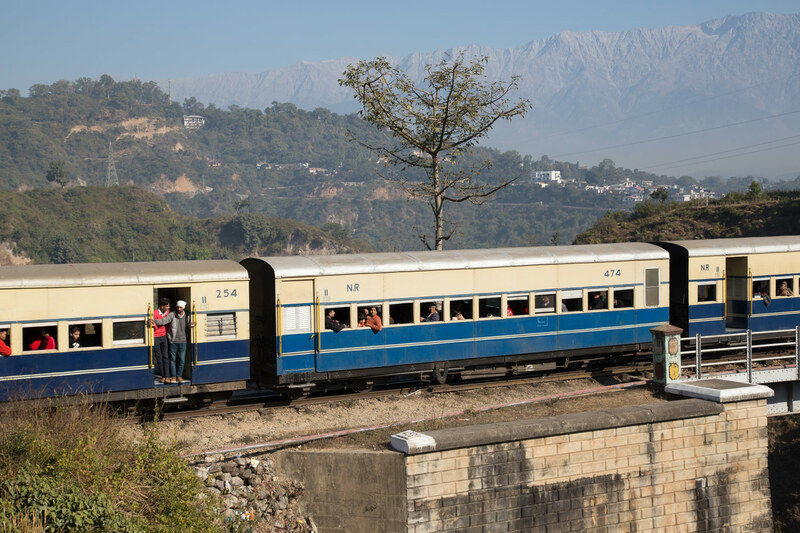 I hurriedly tried to arrange a taxi but the hotel receptionist didn’t seem to understand my rush, finally I got a taxi and headed off to Kangra station in hopes I hadn’t missed the train. 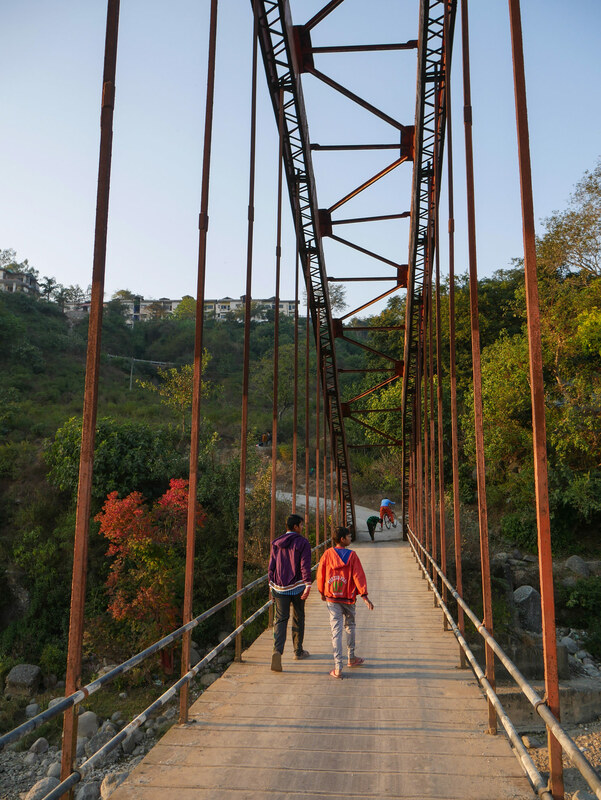 There was still a small crowd on the platform so I figured my odds were decent and continued walking to the big steel Reond Nullah arch bridge east of the station. Sure enough just when I thought I had missed it a distant horn sounded and the train rolled across the bridge. 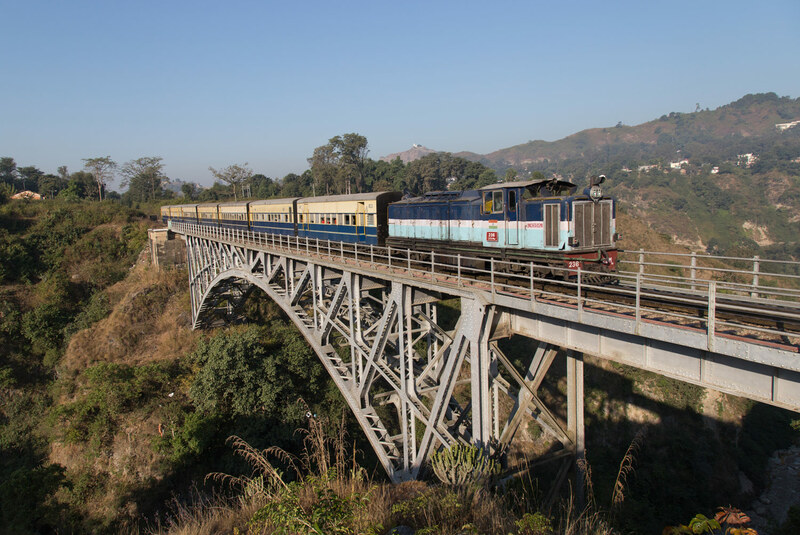 I then had about an hour wait for the next train, 52466 the Baijanth to Pathankot passenger which netted me the classic shot of the arch bridge with the Himalaya’s in the background. 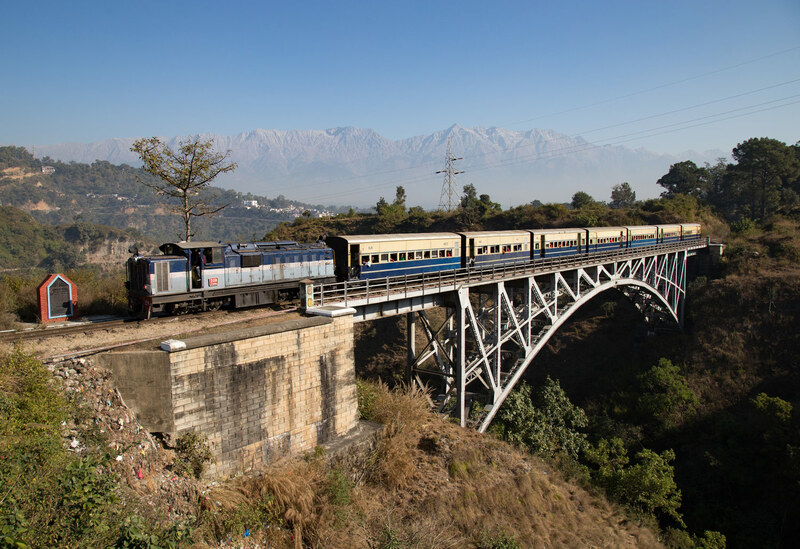 Train 52466 Baijnath to Pathankot passenger crosses the Reond Nullah Arch bridge heading west with the spectacular Himalayan mountains in the background. 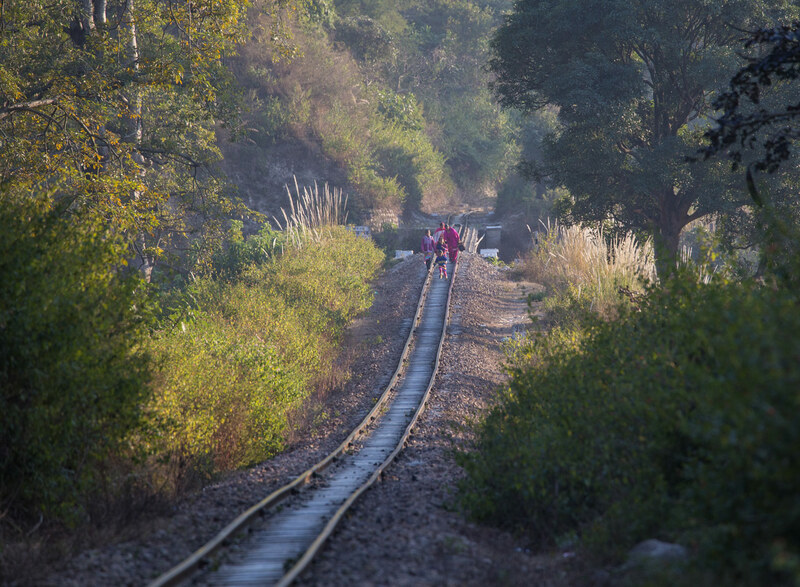 I had a long time to scout out a shot for the next train, the 52465 Pathankot to Baijnath which would be the last train for the morning. After trying several of my own ideas I eventually relented and settled on a shot similar to what Thomas had done yesterday and trying a wider angle to show more of the mountains. The next train, the 52472 had been cancelled during our visit for some reason which was unfortunate as it ran in the best light for photographing the trains against the mountains on this segment. 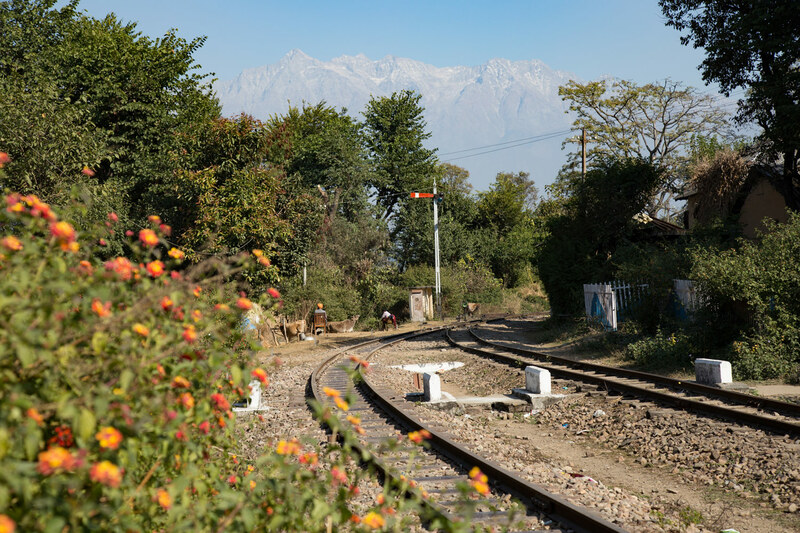 With no activity for the next 4 hours I had time liesurely wander around the Kangra station, a very picturesuqe place even without any trains. 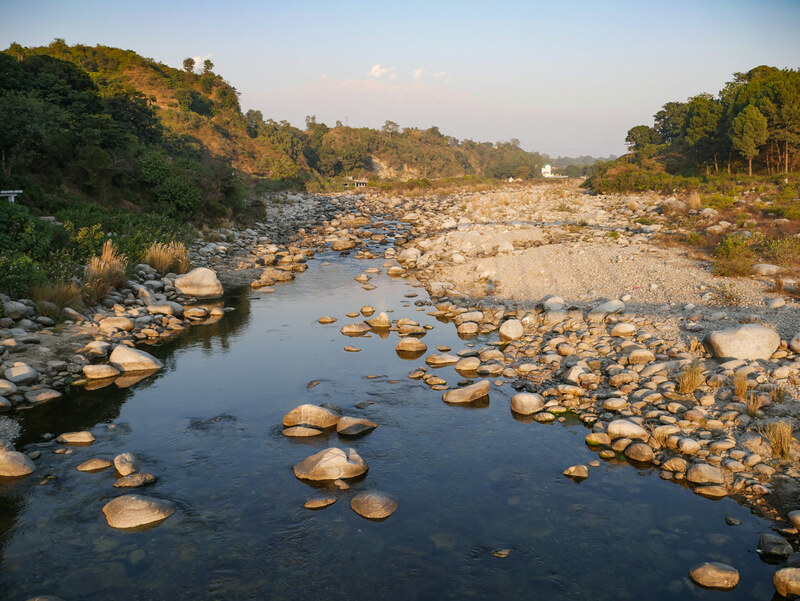 Again taking a page from Thomas’s book I decided to go visit the nearby Kangra Fort. The fort is a true hidden gem, it was built in the 4th century B.C. and is the oldest fort in India as well as well as the 8th largest in the country. Despite all this, it is not completely overrun with tourists as many of the more popular forts in Rajasthan are and is a nice quiet place to admire the views of the surrounding mountains. The fort was built under the Trigarta Kingdom and withstood dozens of attacks and passed from ruler to ruler until being capture by the British in 1846. Ultimately it was not war but nature that defeated the fort, in 1905 a massive earthquake devastated the area and killed over 200,000 people. The fort was left in ruins and today those ruins have become a tourist attraction. 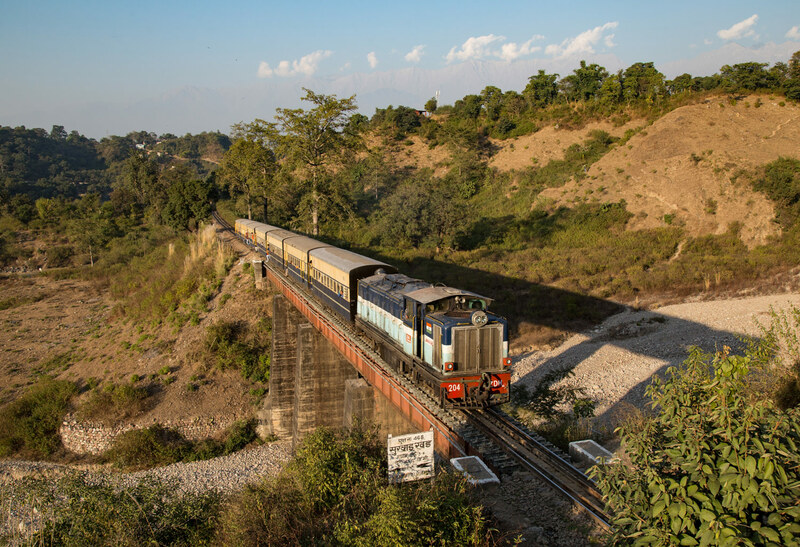 Finally, after 4 hours of wandering around the fort I walked back to the tracks for the final train of the day, the 52468 Baijnath – Pathankot passenger. Unfortunately, the haze seems to increase throughout the day here so the mountains are barely distinguishable from the grey haze. 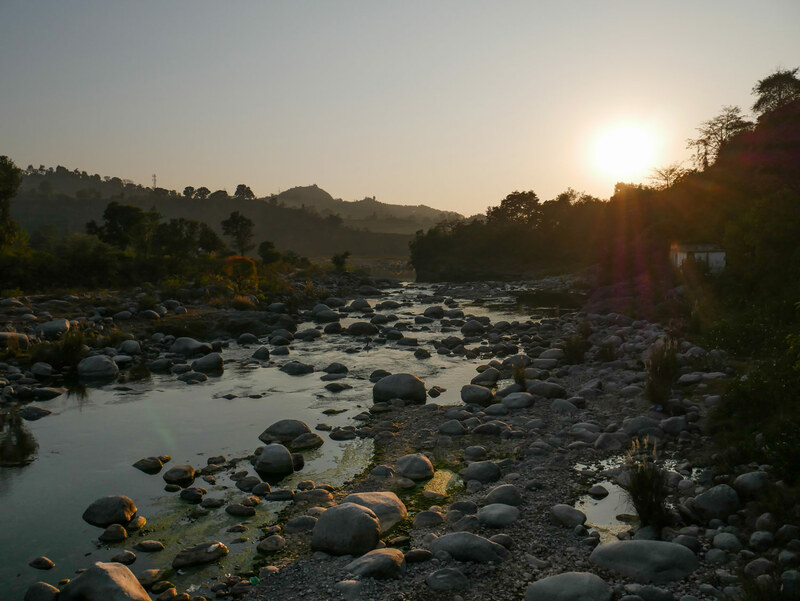 With that, it was off to the hotel for the final night in Kangra, not finding a bus I had a nice walk through the hills until I reached the center of town where I took a rickshaw rather than brave walking the sidewalkless streets (the standard in India). For the accompanying video from the day click below.